Behind ‘The Iron Lady’ public persona of Britain’s first female Prime Minister sat a whisky swilling, cautiously flirtatious and highly intelligent woman. Iain Russell delves into the whisky-filled life of Margaret Thatcher. Margaret Thatcher was a woman of strong convictions, expressed forcefully. ‘You must have whisky to give you energy,’ was one of the lesser-known. It is a maxim that would not find favour with public health authorities and advertising regulators today, but she stuck by it throughout her tumultuous reign as Britain’s Prime Minister from 1979-1990. 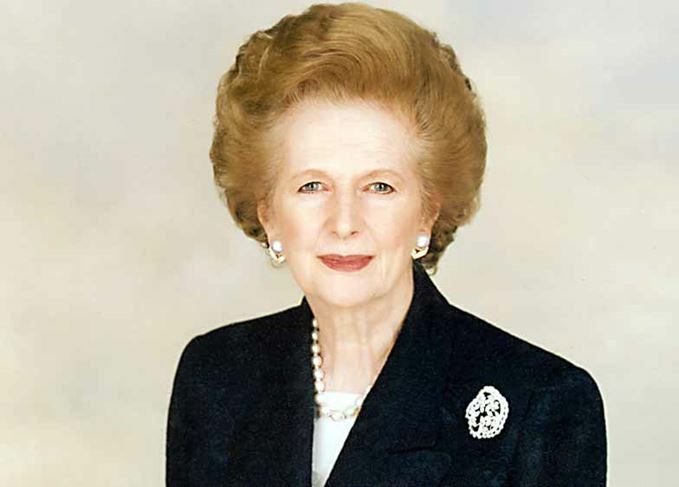 Born in 1925 in Grantham, Lincolnshire, and christened Margaret Hilda Roberts, Thatcher was a grocer’s daughter. She studied at the University of Oxford, graduating with a BSc in chemistry, and embarked on a career as a research chemist. In 1951 she married a divorced businessman called Denis Thatcher, changed career path and became a barrister. She was also a political activist and election candidate for the Conservative Party. In 1958 Thatcher was elected MP for Finchley and subsequently rose through the Conservative ranks at Westminster, becoming Secretary of State for Science and Education in Edward Heath’s Government in 1970. In 1975 she replaced Heath as leader of the Party, and in 1979 she was elected Britain’s first female Prime Minister. She was equally proud to be the first science graduate to be elected to the office. Having been raised in a Methodist family, the young Thatcher was not accustomed to drinking alcohol. Husband Denis, on the other hand, was inordinately fond of booze – particularly gin. He became famous for his colourful compendium of nicknames for the different sizes and alcoholic contents of the drinks he knocked back during the course of a day – beginning with an opener and moving on to a brightener, a lifter, a large gin and tonic without the tonic, a snifter, a short and, penultimately, a snorter. The snortorino would have stopped an elephant in its tracks, but Denis was one of those characters who could drink copiously without apparent drunken effect. His wife, sensibly, did not attempt to match her husband’s consumption and in any case had no taste for gin. Instead, she developed a fondness for whisky in the bar of the House of Commons, where members would spend a great deal of time gossiping and plotting between sittings and votes. Whisky was the favoured social lubricant for many politicians and Thatcher enjoyed the experience of relaxing with them, glass in hand. A copy of the diet she followed just prior to becoming Prime Minister in 1979 shows that drinking whisky, in moderation, had already been factored into her health regime. Her diet sheet ends with a strict memo to self: ‘Whisky may be taken on days when meat is eaten. Otherwise, no alcohol.’ Meat days were Tuesdays, Wednesdays, Saturdays and Sundays. By most accounts, her favourite brand was Bell’s, but she was apparently content to quaff other brands of blended Scotch as well. By adding copious quantities of soda to her drinks, she must in any case have diluted most of the distinctive flavours of the whisky in her glass. Thatcher was a conviction politician on the right wing of British politics, with clear and often doctrinaire views on how to restore the country’s standing in the world after the economic set-backs of the 1970s. A war with Argentina, the virtual emasculation of some of Britain’s most powerful trades unions and a devastating IRA bomb attack on her hotel during a party conference in Brighton, were just some of the momentous events for which her subsequent time in office will be remembered. Cynthia Crawford, Thatcher’s personal assistant, recalls that her boss often relaxed with a late-night glass of whisky and soda in times of particular stress, such as during the Falklands War in 1982 and her ill-fated party leadership election campaign in 1990. Many years after her period in power, her private secretary Sir John Cole remembered that ‘she was often at her happiest with a whisky and soda in her hand, and surrounded by half-a dozen politicians, businessmen, bankers or economists engaged in a lively argument’. After she was ousted as party leader and Prime Minister in 1990, there were rumours that Thatcher began to drink a little too much. She remained fond of whisky and soda, but now Denis was left in charge of pouring the drinks – and that was the one area in which he was decidedly liberal. Denis’ death in 2003 was a severe blow and she withdrew almost entirely from public life suffering from symptoms of dementia. She died in 2013. Thatcher’s public image was that of a stern, stubborn and strident ideologue, and she embraced the nickname ‘The Iron Lady’, coined for her by the Russians. Much has been written about the effects of her policies on the course of British history. But her biographers refer coyly, or not at all, to another side of her character: the sexual allure of Margaret Thatcher. Many members of her government talked of a subtle, intimate femininity, which Thatcher could deploy outrageously to charm or outflank male politicians. The philandering Allan Clarke wrote in his diary about her ‘very small feet and attractive ankles’, and the author Christopher Hitchens recalled that ‘she regularly reduced these chaps to mush’. Some observers believed this infatuation was due in no small part to the prevalence of privileged rich boys in some of the highest offices in the land: they were hopelessly enthralled to an authority figure who invoked memories of a childhood crush for Nanny or Matron. But was whisky drinking a part of the attraction – the fact that she could hold her own with the boys at the bar while flirting with them? It is an unlikely epitaph for a remarkable politician. Scotch played a part in Close developing a reputation as the ‘bravest’ man in cricket.